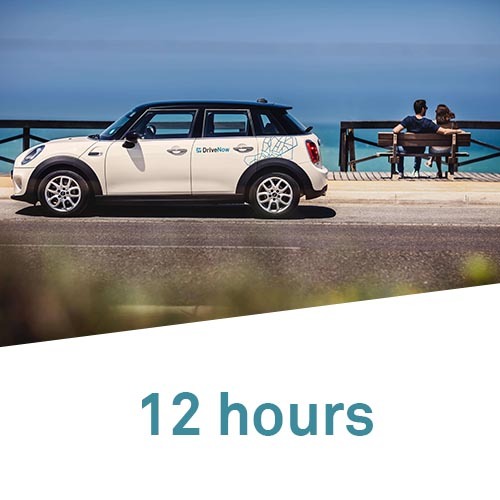 With DriveNow car sharing you get the perfect car exactly when you want it – while staying completely flexible! Find out everything you need to know about about our prices for driving a BMW and MINI, including the DriveNow services. 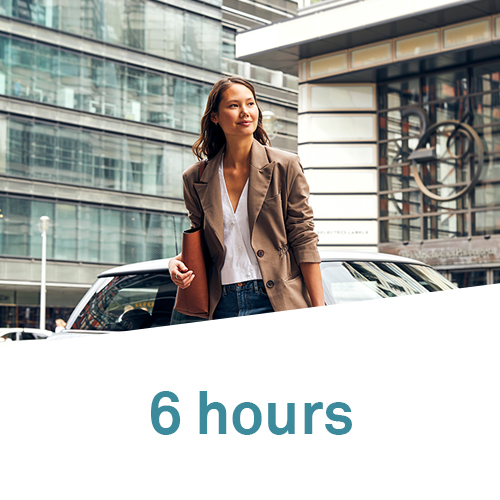 Enjoy the advantages of your DriveNow car sharing membership: you have no monthly fee for car insurance, car tax, etc., etc., you can refuel or recharge your vehicle when you need to at no extra cost and you can leave the car free of charge anywhere in our DriveNow Zone. You can book any of our hourly packages by using the app and after reserving a car. When you stop while driving with an hourly package, remember to set the car to the “Park and Keep” mode before leaving the vehicle. This way the hourly package stays active. Please note that the packages cannot be split between reservations. They must be used in each reservation and will expire afterwards.